Two media outlets are reporting Apple has signed a streaming music deal for its ‘iRadio’ service, with a possible launch slated for WWDC. The New York Times reports Apple is pushing hard to have deals signed so it can debut its free ad-supported streaming radio service at WWDC next week. The stall over a deal still remains over royalty rates and minimum payments. While it is still at odds with some music companies over deal terms, Apple is said to be eager to get the licenses in time to unveil the service — nicknamed iRadio by the technology press — at its annual developers conference, which begins June 10 in San Francisco. The NYT says Apple has signed a deal with Warner Music Group over the weekend for recorded music rights and music publishing; it is still in talks with Sony Music Entertainment and their publishing arm Sony/ATV. On Sunday, Apple inked a licensing deal with Warner Music Group for the rights to its recorded music and music publishing, agreeing to terms on the publishing side that other major music publishers have been seeking, according to people familiar with the matter. The reasons for stalled talks over the past year, according to a WSJ source including the following: royalty rates, minimum payments to labels if Apple does not sell iAds during the first months of launch and also when the company will split revenue with music companies–something Apple will not do until a minimum scale is achieved. Sources similarly tell the WSJ deals were signed with Universal Music Group, but only for recorded music right and not publishing rights. Talks are said to be far from being close to completion with Sony/ATV–and without this deal Apple is unlikely to launch its music service in time. People familiar with the matter have said Apple’s service would allow users to stream songs and be integrated with Apple iAd service, which allows developers to show ads within their apps. 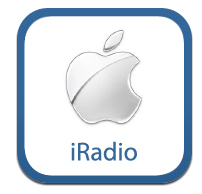 Looks like it’s coming down to the eleventh hour for Apple in its negotiations to launch iRadio in time for WWDC, set to take place on June 10th. 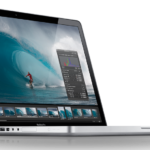 In March it was reported talks between music labels and Apple were stalled due to a lowball offer by the latter over royalties.